Good morning and welcome to another My Creative Time 48 Hour Flash Sale! This sale is for 48 hours ONLY, is going on right now, and will end on Sunday, November 6, 2016 at 7 AM PST. 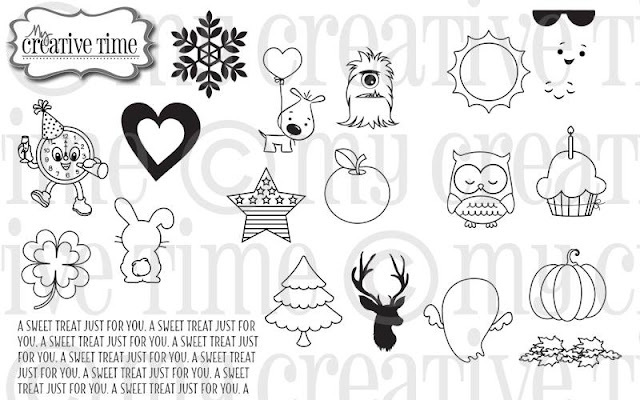 For this sale, we are all featuring a brand new stamp and die set called Mini Lolly Add-Ons. As soon as Emma released her Mini Stitched Lollipop Die, she had several emails asking for a coordinating stamp set! Luckily, she already had one in the works! This set has a total of 21 stamps, along with 18 coordinating dies! This is such a fun set, and we cannot wait for you to see all of the projects the team has created using it! Don't forget to use the code FLASH at checkout to get 20% off of your entire "in-stock" only purchase! This set has stamps and dies for you to make treat holder for any occasion! I decided to veer away from the current holidays and look ahead to summer for my treat today to try to give you an idea of the full range of uses for this set. 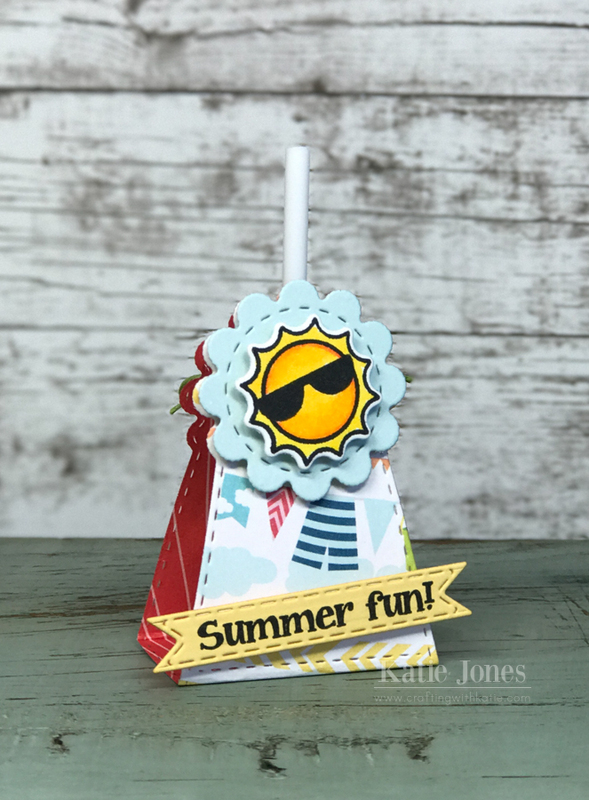 I used some fun Echo Park patterned paper to make my treat holder and then made a sentiment using one of the Sentiment Label Dies and a stamp from Surf's Up. The sun was made with a stamp and die from the new set, and I colored it with Zig Clean Color Real Brush Pens. Super easy! Here's a closer look at Mini Lolly Add-Ons. It's available now at the My Creative Time Store! Leave your comments on every stop for a chance to win a $25 gift card to the My Creative Time Store! Don't forget to leave a way for us to contact you just sin case YOU are the LUCKY winner! Good luck! Come hop along with us for some AMAZING inspiration using this new Mini Lolly Add-Ons set from the team! I KNEW you would use this one!!! ;) I TOTALLY thought about you when I added this image to this set! I LOVE IT.....SOOOOO ADORABLE!!! So cute and fun! Fabulous! Love this, so cheerful! Glad the little sun guy is in the set! I love this one!! The sunglasses look so cute on the sun. Sooo darn cute!! Great for a pool party favor! LOVE! This is just adorable......! Love the bright color of the sun. Cute papers to coordinate with the sun stamp! Such a fun new stamp set, and just adorable paired up with the Mini Lollipop Die! Very cute lollipop holder! It is a great farewell to summer treat. Aww...too cute!!!! Love this treat! Love this , and u found the perfect papers to go for your summer theme!! It is hard for me to let go of summer too! I like your idea to look ahead to next summer and your holder is adorable. This is a great set and all of the holidays and seasons are covered. Great job on your holder. Your lollipop holder is so cute. This new stamp set is just awesome. As soon as I saw the sunglasses I shrieked! Love this stamp and die set! cool sun!! !this has so many ideas!!! Very cute for a summer treat! I know you are going to be making these all year for your class! Better get more lollipops! I think i'ts wonderful! So bright and fun. Let's get winter over with.